With the new year here, it means new tax changes are now in effect. These changes can bring additional stress to an already contentious time. Divorce is an emotional process and typically involves a lot of paperwork, money, and arguing over asset distribution. Some of the new changes now in effect could make asset distribution now even more challenging. Alimony is no longer tax-deductible for the spouse paying it, and it’s no longer taxable income for the person receiving it. 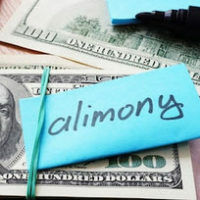 Historically, Florida alimony has been tax deductible for the spouse who was required to make the alimony payments, and the recipients had to claim it as taxable income. This is certainly a beneficial change for recipients, but it’s a hardship for the spouse required to pay it. This means you can expect lots of additional disputes on spousal support this year. Since the government is no longer subsidizing these payments, it’s a guarantee that spouses expected to pay alimony will be aggressively fighting the amount. And, on the other side, the spouse expected to receive alimony may be fighting for a larger award. People who were divorced prior to 2019 are grandfathered in; however, if modified going forward there is a chance they could be subject to the new rules. Good news for people who were divorced last year, as they are grandfathered in under the old rules. Bad news if you need to get your agreement modified going forward. There is a chance that the modification will state its governed by the new rules. If it doesn’t specifically say that, the modified agreement will be subject to the old rules. This potential risk is why people need to be very careful when deciding whether to pursue a modification order. Verify your prenuptial and postnuptial agreements are not affected by the tax changes. There is a chance the new rules could nullify some items in a pre- or post-marital agreement. It’s in your best interest to have your agreement reviewed by a Florida alimony attorney. And, if necessary, you may need to negotiate the terms of the agreement again. The new alimony tax laws may impact your retirement savings accounts as well. Previously, rules mandated that you pay alimony in cash in order to be eligible for a deduction. For new divorce agreements made under the 2019 rules, you are allowed to transfer funds from a retirement account instead. This is one way it could offset the new rules for those who qualify and meet the requirements. Another potential issue with the tax changes is how you save for retirement. Since the funds are no longer considered earned income in the eyes of the IRS, you cannot invest them in individual retirement accounts. If you have questions about the new tax laws and how they impact Florida alimony payments, contact the Law Offices of Schwartz | White at 561-391-9943 to schedule a consultation.